Every company and hiring manager wants to make sure they are working with the right recruiter who understands them and does a good job. Over the next 2 weeks we’re going to be sharing some tips with you on how to make sure you choose the best recruiter for you. How do you screen and shortlist? Good agencies will train their consultants properly on their interviewing, selection and shortlisting procedure. If they can explain this in detail they you are off to a good start! One of our clients told us that he always asked the candidates when he interviewed them what they thought of their recruiter. We think this is a great idea! Candidates will gladly tell you of their experience, you will soon find out which agencies are thorough in their approach and that genuinely care about putting the right candidates forward. Be ready to fire the recruiters out there that think that a 5-minute chat with a candidate will suffice. Yes it happens! All of the time! How long have you been a recruiter? How long with this company? With the average recruiter only managing 9 months service, there are brand new recruiters joining all of the time and they have to get their experience from somewhere, through trial and error practicing on your vacancy. I spoke to a client recently who briefed a consultant on his position only to find a few weeks later that they’d left, and no one was aware of the vacancy. He had to start all over again with another consultant, the clock was ticking, he’d lost 4 weeks already and he hadn’t even seen any candidates yet. To get your role filled quickly and efficiently choose a recruiter with experienced staff that have worked for their agency for a decent length of time and that have experience in your specialist sector. Anyone can advertise a position. The best recruiters are utilising their existing networks and maintaining relationships with passive candidates. They are well thought of and actively seek and receive referrals. They will be able to introduce you to candidates that are exclusively with them, and not actively applying for jobs. Check out the LinkedIn profile of your recruiter. Would you be happy for this person to represent you? What do you have in place to ensure you are representing my brand professionally? Ask your recruiter what policies they have on treating candidates well and communicating outcomes and feedback. If a candidate has been left high and dry with no feedback or outcomes, it doesn’t reflect well on the recruiter or the hiring company. A bad experience with an agency that is associated with your company can give a real negative impact on your brand and reputation as an employer. Is there anything else you need from me apart from a job description to do a good job? Is your recruiter happy to start sending CVs as soon as you have emailed the job description over? Or do they spend time speaking with you over the phone, listening to your requirements, even arranging to visit you at your premises? Find out if the recruiter needs anything else from you to help them fill your vacancy. 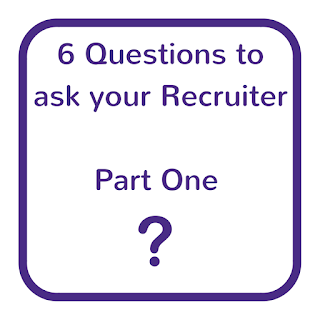 Clients we have spoken to really like it if the recruiter follows up with additional questions from candidates after the first contact. It shows the candidates are really engaged with the role and want to find out more. That means the recruiter has sold the role and the company well to the candidate! How do you prioritise your clients/vacancies? Don’t be afraid to ask your recruiter how important your vacancy is to them. Will they be working on a long list of multiple vacancies or will they take on just a few at a time, assigning each vacancy to a specific consultant? In turn, let them know if you are using any other agencies. If you are exclusively using one recruiter you may find they work on only your vacancy, meaning you are top of their list and have all of their time and resources! 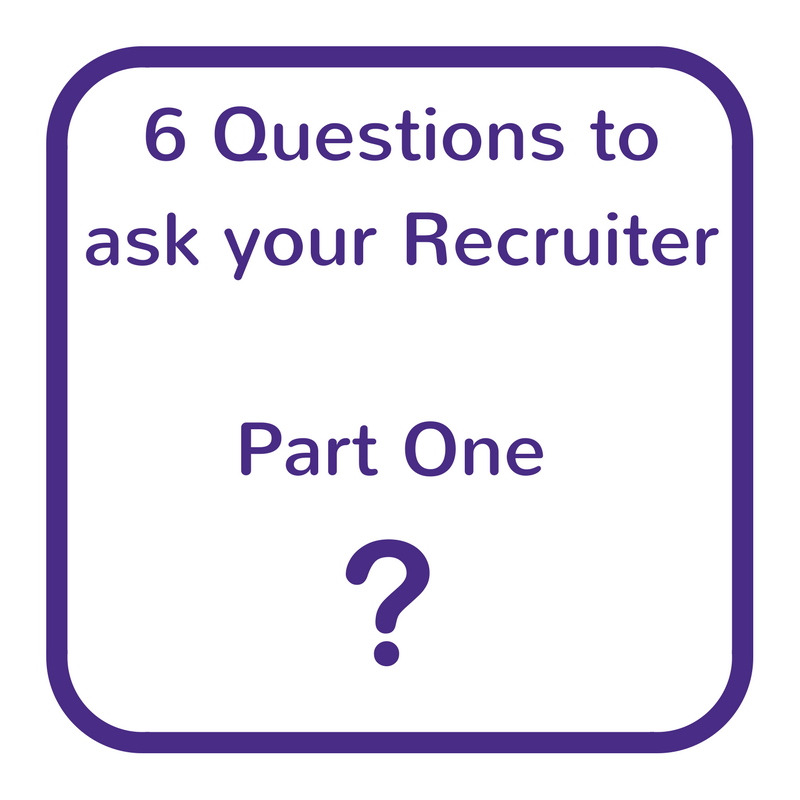 Look out for part 2 next week where we share more tips to make sure you choose the very best recruiter to work on your vacancies. In the meantime you can find out what our clients and candidates say about us here.